1) Ray Spalding was born on March 11, 1997 in Louisville, Kentucky. 2) Initially, the Mavericks had the 54th pick in the NBA draft. Then, they sent the 53rd pick to the Philadelphia 76ers in exchange for the 56th and 60th picks, the former of which was used on Spalding. 3) In his first two seasons at Louisville, Spalding averaged a little under six points and about five rebounds in under 20 minutes per game. His junior season is where he really blossomed. In 27.7 minutes per game, Spalding averaged 12.3 points and 8.7 rebounds per game on 54 percent shooting from the floor. He also started trying to develop his shot, attempting 19 3-pointers in his final season. In his first two seasons, he only attempted six combined. However, a lot of his buckets came from above the rim. 4) Of the 69 players invited to the NBA Draft Combine, Spalding was among those with the most length. 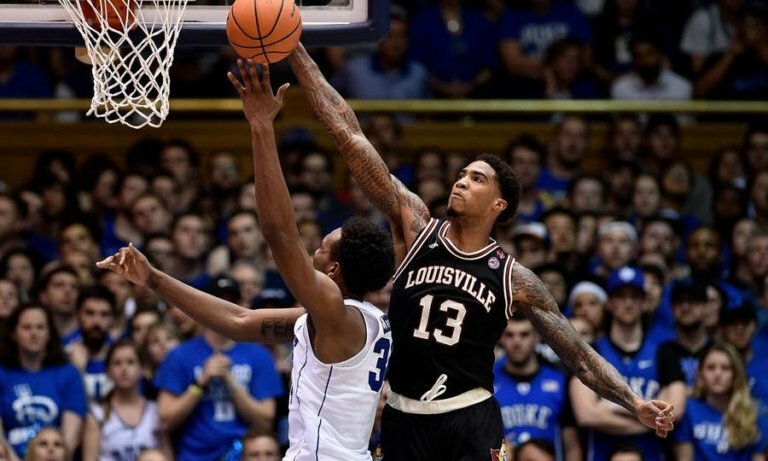 With a 7-foot-4.75 wingspan, Spalding had the sixth-longest among combine participants. He also ranked eighth with a 9-foot-1 standing reach and 10th with a 6-foot-9 height without shoes. 5) Ray Spalding isn’t the first Spalding in the NBA. In 1894, Spalding created the first basketball and has been created plenty of sports equipment since. Now, it’s the official basketball of the NBA. 6) While speaking to the media, Spalding was asked who his game could be compared to. Spalding’s response was “Hopefully, an Anthony Davis kind of guy.” Spalding explained further. “Shoot the ball well, good rebounder, good pick-and-roll player, pick-and-pop, you know, put it on the deck, post up, do everything else,” Spalding said. In his six NBA seasons, Anthony Davis has averaged 23.4 points, 10.3 rebounds and 2.4 blocks per game. 8) When Spalding was picked by with the 56th pick in the NBA draft, he became the 75th Louisville Cardinal drafted. The last one to be drafted before him was Donovan Mitchell, the runner-up for rookie of the year. 9) Spalding became the third Maverick currently on the roster from the ACC. If Seth Curry re-signs, he’d be the fourth. He’ll be the lone Mavs’ representative from Louisville.